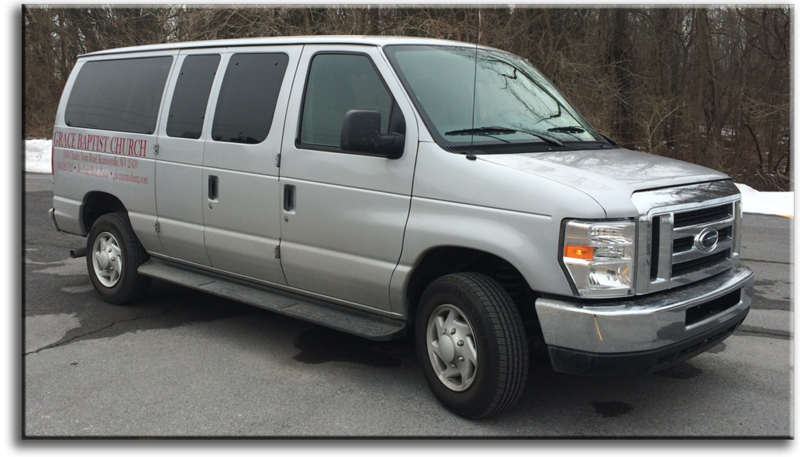 We have some transportation available for people in the Martinsburg, WV, Kearneysville, WV, and Winchester, VA areas. We have a bus and a van that will pick people ages 5 and older up for Sunday School and church on Sunday mornings. Children under 5 years of age may ride with an adult. Please call the church at 304-620-7025 if you need a ride to church!